Home Unlabelled Sahara Reporters’ Publisher Omoyele Sowore Arrested, About To Be Deported!!! Sahara Reporters’ Publisher Omoyele Sowore Arrested, About To Be Deported!!! 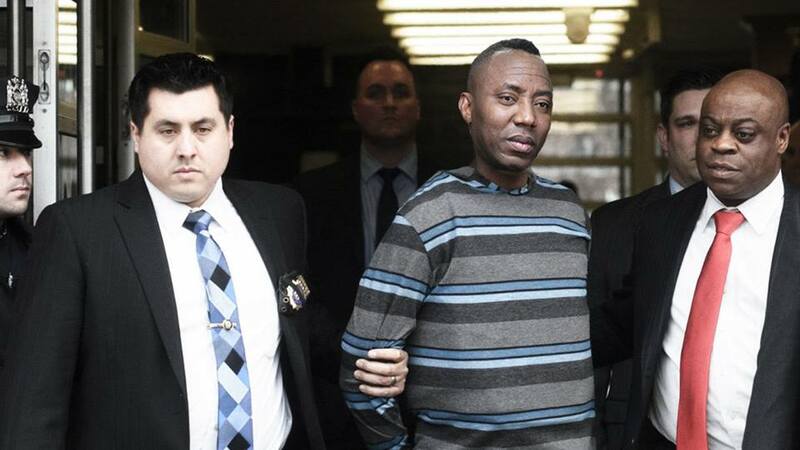 The publisher of Saharareporters, Omoyele Sowore, was this night picked up in New York City and taken to Varick Street deportation center where he is awaiting expatriation. Trouble started for Mr. Sowore when a sheriff attempted to serve Melaye’s defamation court summons. In his effort to argue with the sheriff, New York City police were called. He was immediately picked up and taken to the detention center for processing. Sowore is not a citizen of the United States and the Immigration and Customs Enforcement (ICE), under President Donald Trump is quick to remove immigrants involved in the most minute of infractions. At the moment Saharareporters’ lawyers are scrambling to get to the detention center to appeal against the deportation of Sowore. They will be making a case that the Nigerian authorities are after the Ondo born publisher. Sources close to Saharareporters said that Sowore’s deportation would take place tomorrow via Arik Air to Abuja, Nigeria. There are indications that the arrest was coordinated with authorities in Nigeria and would be picked up by the DSS in Abuja as soon as he arrives. APRIL FOOL…Hehehehehe I fell for it, so lemme do same to you!